Ayatollah Ali Khamenei, Iran’s Supreme Leader, said on Thursday that negotiations with the major world powers over Iran’s nuclear ambitions displayed US enmity towards the Islamic Republic. Khamenei made his comments a few hours before the resumption of talks between Iran and the EU in Geneva. Iran and the EU are holding talks on Thursday in Geneva to hammer out the practical details of the agreement reached in November. “We had announced previously that on certain issues, if we feel it expedient, we would negotiate with Satan (the United States) to deter its evil,” Khamenei told the IRNA news agency. The November deal is designed to halt Iran’s nuclear activities for six months before a final agreement can be reached. Under the agreement, Iran must curb its nuclear activities in return for some easing of sanctions, which have severally damaged the Iranian economy. 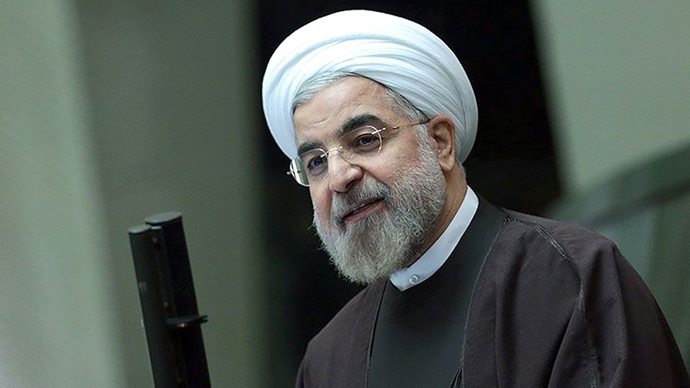 The election in June of the pragmatically minded Hassan Rouhani gave diplomacy a chance, although political and religious hardliners in Tehran see the deal as an infringement of Iran’s sovereignty. 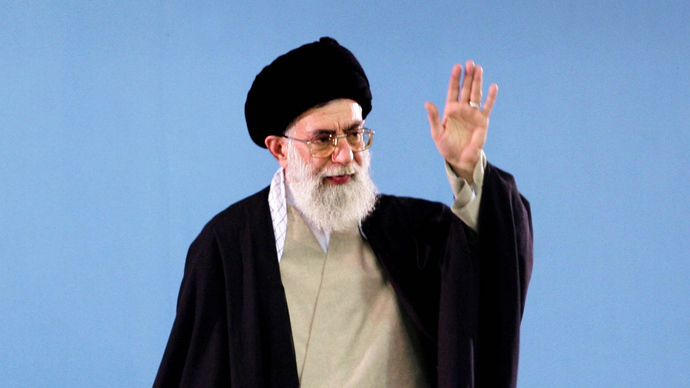 Khamenei himself had previously backed the agreement. Ayatollah Khamenei has stated that international sanctions have not pressured Iran to the negotiating table. “Our enemies do not know the great Iranian nation. They think their imposed sanctions forced Iran to enter negotiations. No, it is wrong,” he said. But in reality sanctions are having an impact, with trade seriously disrupted and oil revenues slashed. Since the November-24 agreement, there are various technical issues to be agreed before the agreement can be put in place. Diplomats and Iranian officials hope to implement the deal by January 20. “First the interim agreement needs to be implemented. I think that by the end of January, or at least I hope it will be implemented. That’s the interim period,” French Foreign Minister Laurent Fabius said on Wednesday. But issues remain over Iran’s advanced centrifuge research. 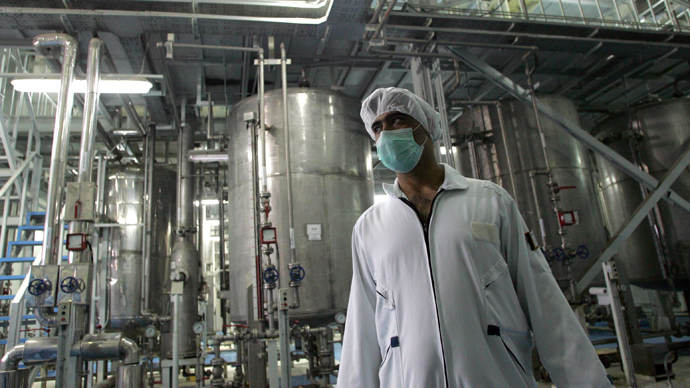 Iran says its centrifuge operations are crucial and necessary for medical research. Centrifuges purify uranium, which can be used in medicine, for fuel in nuclear power stations, but can also be used in atomic weapons. Tehran maintains that its nuclear ambitions are purely peaceful, but the West suspects the Iranians of trying to build an atomic bomb. The P5 +1, (US, Russia, China, Britain, France and Germany) held two rounds of talks with Iran in December, but Tehran walked out of the negotiations after Washington ramped up sanctions against the Iranians despite the November-24 deal. Thursday’s meeting aims to activate the November deal and has been endorsed by Iran’s foreign minister, Mohammad Javad Zarif, with optimism. 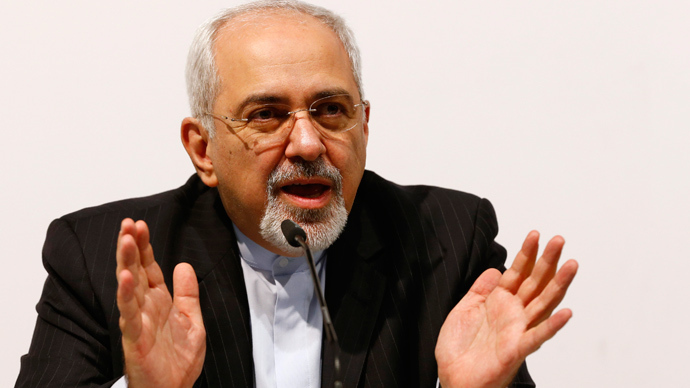 “The nuclear talks are continuing with seriousness and a strong political will,” Zarif said on his Facebook page. 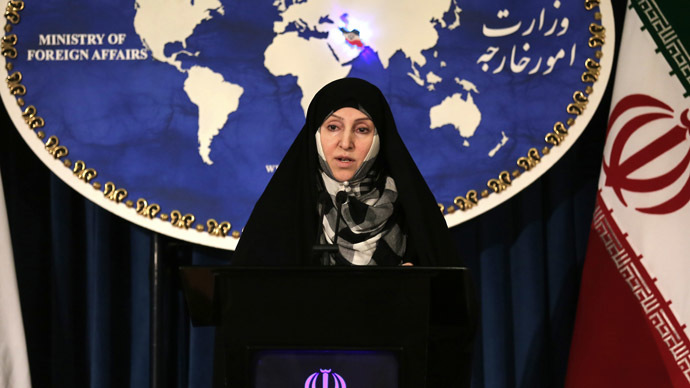 Iran has consistently denied that it is seeking to develop nuclear weapons. Iran's Supreme Leader, who is reported to have issued a fatwa against nuclear weapons, declared in 2009: "We fundamentally reject nuclear weapons and prohibit the use and production of nuclear weapons."